The DNSAA is fortunate to have many amazing volunteers assist with annual events, meetings, funding applications, communications and much more. The accomplishments and hard work of several DNSAA volunteers have been recognized by the University of Toronto through various awards. Thanks to all the past, current and future DNSAA volunteers - keep up the amazing work! From health research and innovation to serving the Faculty of Medicine community, our alumni make an impact with their leadership, discoveries and commitment both in Canada and across the globe. The Alumni Volunteerism Award honors alumni who have provided extraordinary volunteer service, demonstrating leadership through local or global work. Recipients have enriched the lives of others through their generous gifts of time and talent and through their involvement with the Faculty of Medicine or through civic, charitable and social causes beyond the scope of their clinical or academic appointments. The DNSAA is proud to have our very own Fioanna Wallace honoured with the 2016 award. Nutritional Sciences graduate Fiona Wallace is recognized for initiating the Department of Nutritional Sciences Alumni Association, where she served many years as president. 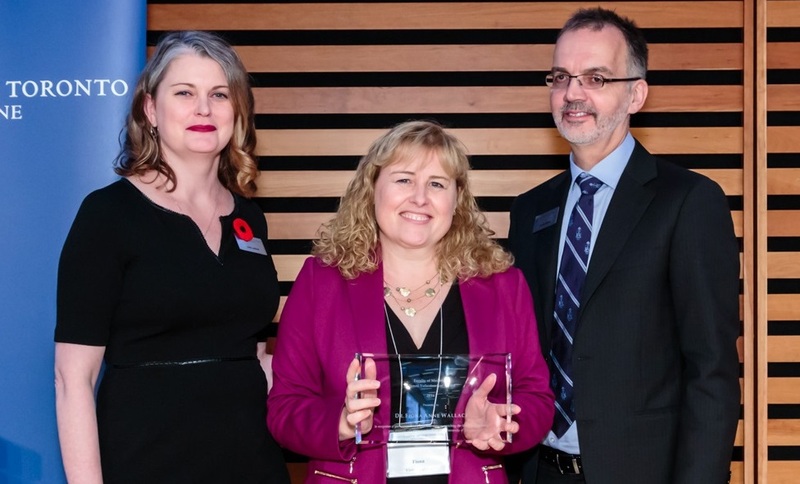 Currently serving as Head of Regulatory and Scientific Affairs at Nestle Canada, Wallace volunteered countless hours to create networking and professional development opportunities for students and alumni in the very diverse field of nutritional sciences. Listen to Fiona's experience volunteering and mentoring with the DNSAA. 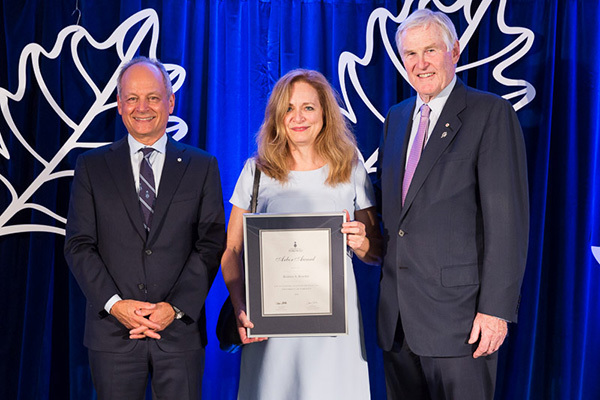 Since 1989, more than 2,120 alumni and friends have received Arbor Awards for their tremendous generosity and contribution to the experience of U of T students, faculty, staff and alumni. Our volunteers personify the very best attributes of the University’s motto, Velut Arbor Aevo – “May it grow as a tree through the ages.” Their work represents both our roots and our branches, which have served to anchor our traditions and spread the mission of this University – to meet global challenges and prepare global citizens. The award can be granted for contributions to specific academic units, such as faculties, colleges or institutes, or to the university at large. 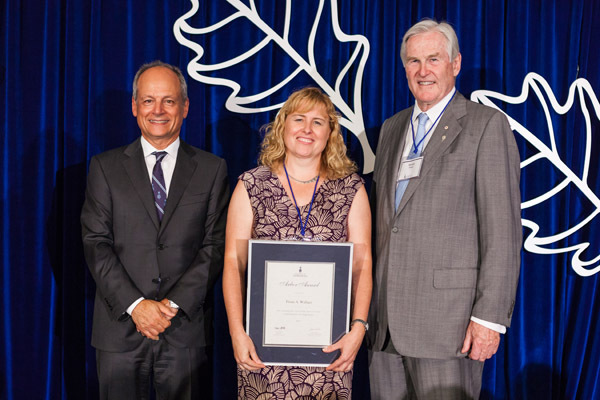 Sponsored by University Advancement, the award ceremony takes place each September at the President’s official residence at 93 Highland Ave. More information on the Arbor Award can be found on the University of Toronto Alumni Website. The DNSAA has had three volunteers receive this prestigious award in the past five year. As president of the Department of Nutritional Science Alumni Association, Joanne has been a passionate leader. 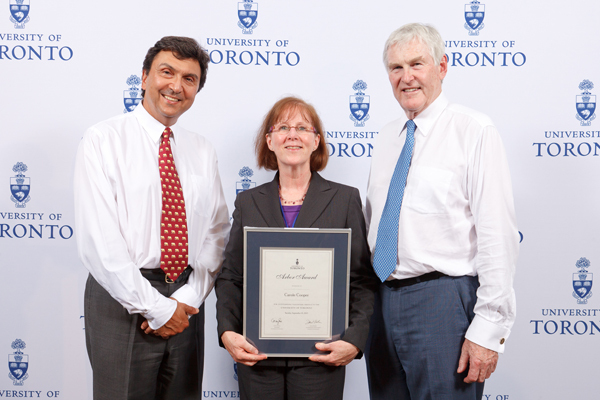 She has mentored students, organized and hosted events, and assisted with Cressy Award nominations. Beatrice is an executive member of the Nutritional Sciences Alumni Association, and has been instrumental in its re-launch and growth. She is also closely involved in the department’s mentorship program, as both an organizer and a mentor. In 2009, Fiona revived the long-dormant Department of Nutritional Sciences Alumni Association at the Faculty of Medicine. Today, the association has a board of 12, runs a mentorship program, and puts on lectures and networking events. As the association's president, Fiona has secured foundation grants, sat on student-award committees, and worked with the University alumni community at large. With her tireless leadership and enthusiasm, Fiona has had a great impact on the department. Carole has been a dedicated supporter of the Department of Nutritional Sciences in the Faculty of Medicine since its creation. Carole has consistently helped organize the department's Spring Reunion luncheon and has been a champion of the annual Edna Park Lecture for departmental alumni. 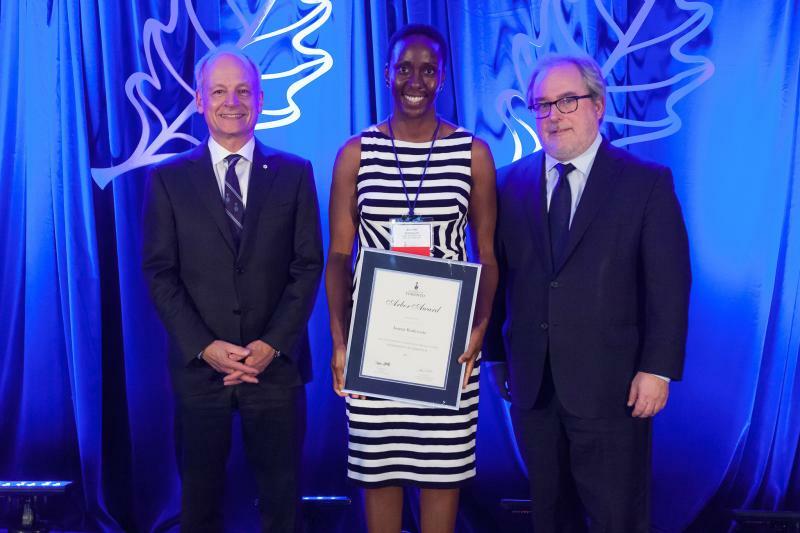 The Gordon Cressy Student Leadership Awards were established in 1994 by the University of Toronto Alumni Association (UTAA) and the Division of University Advancement in order to recognize students who have made outstanding extra-curricular contributions to their college, faculty or school, or to the university as a whole. 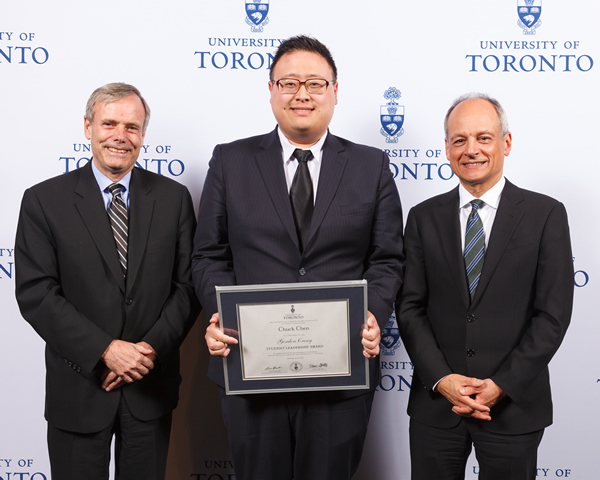 More information on the Cressy Awards can be found on the University of Toronto Alumni Website. Alumni of the Department of Nutritional Sciences have received numerous Cressy Awards, with the previous five years highlighted below. Effie was U of T’s student rep at the Canadian Nutrition Society, and led community outreach for her program’s student union. Chuck was co-president of the Nutritional Sciences Graduate Students’ Association. He is a founding member of the Department of Nutritional Sciences Alumni Association. As VP and Co-President of the Nutritional Sciences Graduate Student Association, Jovana organized multiple functions and helped to restructure departmental seminars. She is also a fantastic mentor to high-school, undergraduate and graduate students in her lab. Trinity College student Stephanie Nishi participates in the Nutritional Sciences Student Association (NSSA) and the Hart House Social Justice Committee. On campus, her activities have included the Trinity College Volunteer Society, Taekwondo Club and the Runners Appreciation Club. Off campus, Stephanie has been a St. Michael’s Hospital volunteer.